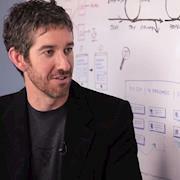 Dwight Merriman of MongoDB during a shoot for The Big StartUp. On the set during a shoot with Lytro. 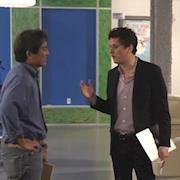 Aaron Levie and Guy Kawasaki chatting about the art of the startup. 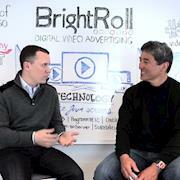 BrightRoll CEO, Todd Sacerdoti on the set.